So Ball automatically starts day 1 yes? Unless Rob pulls the bull[expletive] of procrastinating the signing of contracts. Edited by lakersince75, June 23, 2017 - 02:19 AM. Welcome Lonzo. And Lavar. That guy is comedy...give him a mic and prepare to be entertained. I'm gonna love listening to him. 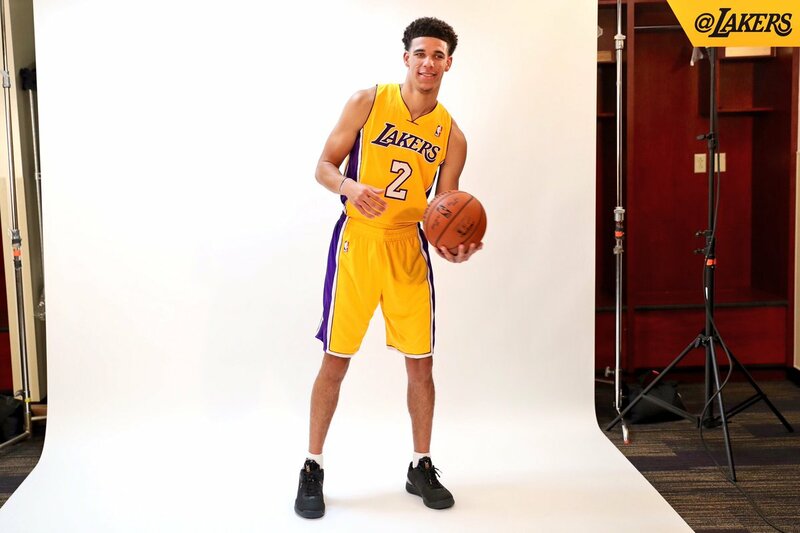 Lonzo will make an immediate impact for us given his strengths. Not a knock on Ingram or D'Angelo, but I feel Lonzo will have an easier transition due to the type of game he plays. Doesn't mean he'll be better in the long run (I actually am pretty positive he won't)...but I expect him to be a glue guy and somewhat of a leader for this team. In tomorrow's press conference somebody should shout "Ball! Give me the ball! ", it would be funny as hell. I wonder who would react first. Magic? Lonzo? or Lavar? Lonzo's passing will be contagious, our offense will be a joy to watch this year. We'll see how many wins it'll translate to. saying that his mother is ill and had surgery and he want to be located next to her. of course, the talent is different. he is a future superstar and his dad, well i kinda like him. enthusastic, motivational speeches and you got to give him credit. he got the basketball world where he wants them. 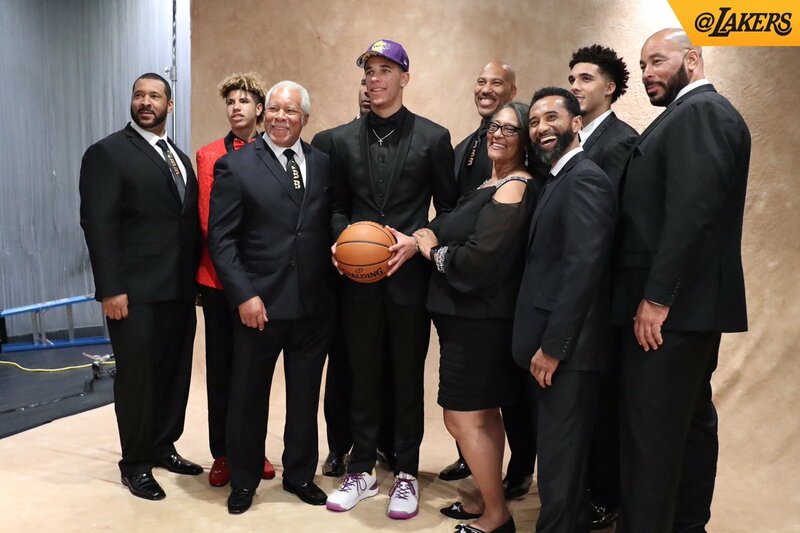 THEY TALK ABOUT BALL FAMILY! Good luck Lonzo. After 1 bad game the amount of bust talks will spread like wildfire. The man has been hyped up to the max. Hopefully he can meet those expectations. Get ready for the D-Lo widows, they will be making some noise. I'm actually interested to see ho whe grows because what happens if this guys frame fills out like it looks like it can. What happens if he hits 210? Lonzo is the guy who always picks the nice option for 2K. The Lakers No. 2 pick in 2016, forward Brandon Ingram, has talked at length about how much he wants to work with and learn from Bryant. Their latest second overall pick would appear to be taking a different approach. Ball met Bryant once a few months ago, but when you ask Ball about it, he's unmoved by the interaction. Bryant asked Ball if he had a post-up game; Ball said he did. But individual post-ups are not what Ball wants. "Try to be a good teammate and a better point guard," Ball summarized in his typically brief way. There is no word on whether or not Bryant then tried to convince Ball to convert to the Kobe System™, to make Ball understand that winning is about dominating your match-up while being a different animal and the same beast, but it seems like Ball has different views on how to win. It should be noted that that’s totally fine! Not every player is the same. All he has to do is back that up though. Doesn't sound disrespectful. But a post up game would benefit him tbh, especially being a taller point guard, especially if Kobe is trying to impart bits of knowledge on you, he'd be the guy to learn a post up game from. Edited by Majesty, June 23, 2017 - 01:46 PM.